We are five weeks into the year and I have saved $21. Impressive, yes? Okay, maybe it’s not impressive now but by the end of the year I will have turned that $21 into almost $1400. And while it may not sound like a lot of money to some people, it would make me delightfully happy because while I’ve very (VERY) good at spending money, I’m bloody useless at saving it. Even when I have something to save for … like the new set of drawers from Retrojan, or a pair of black boots … or an overseas holiday. A few years ago I managed to put aside a couple of hundred dollars simply by putting all my $5 notes into a money-box. I figured you don’t miss $5 and in the end those little babies quickly add up. But with constant dreams of faraway places, I made it one of my bucket list items for 2014 to start saving again. 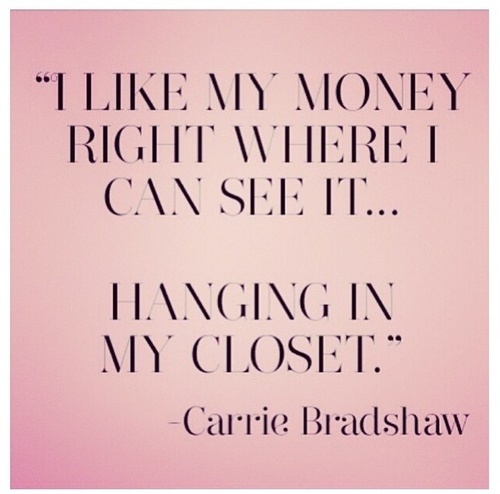 Even if it means going without the latest Cue dress or another pair of jeans. Is anyone buying that line? Because I’m trying really hard to convince myself that it will be okay … but I may need a little moral support. 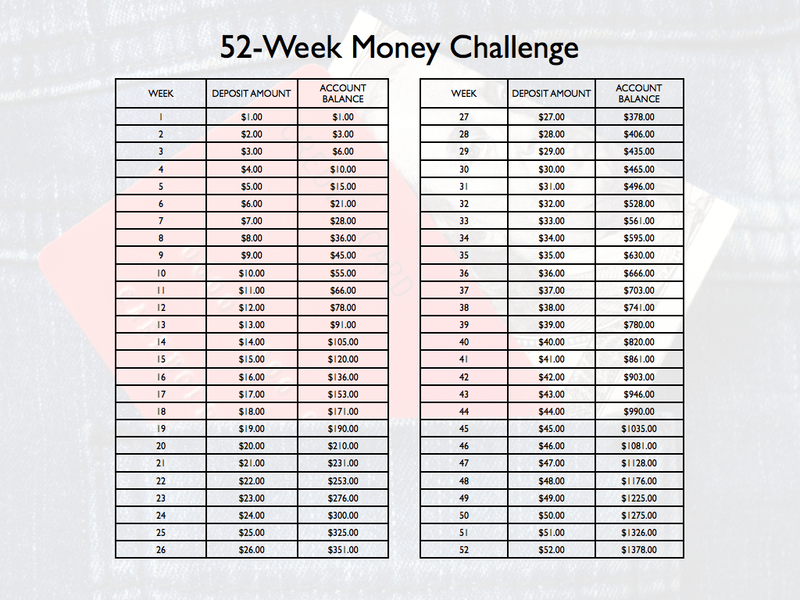 While cruising around Pinterest at the start of the year, I stumbled across a picture of the “52 Week Money Challenge”. It promises that if you can follow the schedule for 52 weeks you’ll end up with $1378. Yes! The concept couldn’t be simpler; during the first week, you save $1, during the second week, you save $2. And so on. For each week, you add a dollar and by the last week of the year, you’re putting away $52. So, I got myself a jar and have set about making weekly deposits. I then stumbled across a write-up on this savings plan by blogger TheSimpleDollar and the author, Trent, made one very valid point: “If you start this in January, December’s weeks are going to require you to put away $49, $50, $51, and $52, respectively. This plan is asking people to put aside more than $200 during the one month of the year when money is often the tightest”. Ain’t that the truth, Trent! So he came up with a twist for the money challenge—rather than follow the schedule and increase your payments each week, simply put away the amount you can spare that week and cross off the line on the Money Challenge that matches the amount you saved. “If you were only able to sock away $15 this week, cross off the $15 line. If you saved $52 this week, cross off the $52 line,” he explained. That way, if you hit a week where something pops up and you can’t save the amount suggested, you can just choose to save a lower amount and you won’t feel like you’ve failed the challenge. And at the end of the year, whichever way you save it, you’ll still have $1378! Are you saving up for something special?